The Manhattan Transfer - The Offbeat Of Avenue (1991) (LOSSLESS & MP3) | Free eBooks Download - EBOOKEE! Other than a recreation of the Miles Davis/Gil Evans recording of "Blues for Pablo" (with trumpeter Mark Isham filling in for Miles), this program by the Manhattan Transfer is completely outside of jazz. It is doubtful if Sarah Vaughan would have much enjoyed "Sassy" (due to the reliance on electronic rhythms) or the poppish material heard throughout the date, despite the talents of the singers. Other than "10 Minutes Till the Savages Come" and the Dirty Dozen Brass Band's guest appearance on "Blue Serenade," the set is disappointingly forgettable. 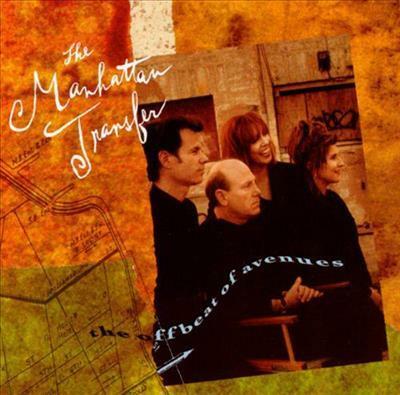 No comments for "The Manhattan Transfer - The Offbeat Of Avenue (1991) (LOSSLESS & MP3)".